You are currently browsing the tag archive for the ‘Sound’ tag. No, not the Grand Caynon neither the Epstein & Axtell Sugarscape (link) this time, instead a soundscape. A landscape made of sounds or grooves. Look at this as an ancient form of encapsulating data. 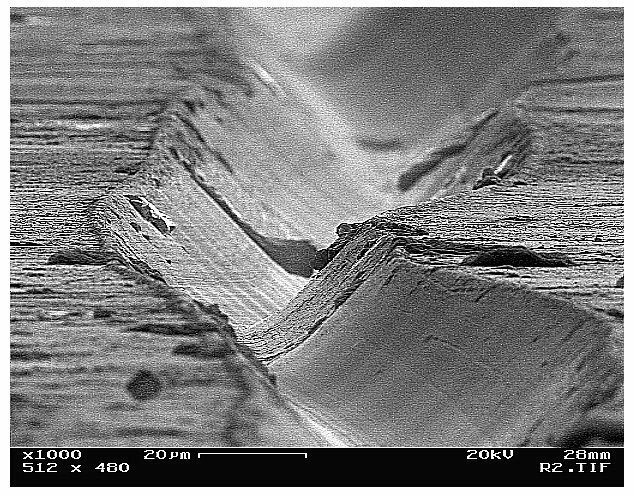 Taken by Chris Supranowitz, a researcher at The Insitute of Optics at the University of Rochester (US), the image depicts a single groove on a vinyl record magnified 1000 times, using electron microscopy. Dark bits are the top of the grooves, i.e. the uncut vinyl, while even darker little bumps are dust on the record (e.g. centre right). For more images check SynthGear, and found out (image link) what have they discovered if we keep magnifying that image further still! (…) The Four Mists of Chaos, the North, the East, the West, and the South, went to visit Chaos himself. He treated them all very kindly and when they were thinking of leaving, they consulted among themselves how they might repay his hospitality. Since they had noticed that he had no holes in his body, as they each had (eyes, nose, mouth, ears, etc. ), they decided each day to provide him with an opening. At the end of seven days, Kwang-tse tells us, Chaos died. 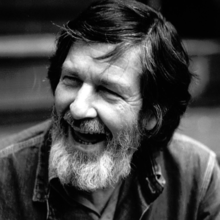 (…) in Indeterminacy – Ninety Stories by John Cage (Transcript of story number 27), With Music, ca. 26’00” to 27’00”, From John Cage’s  Lecture ‘Indeterminacy’, 26’00” to 27’00”, in Die Reihe No. 5, English edition on p.120.